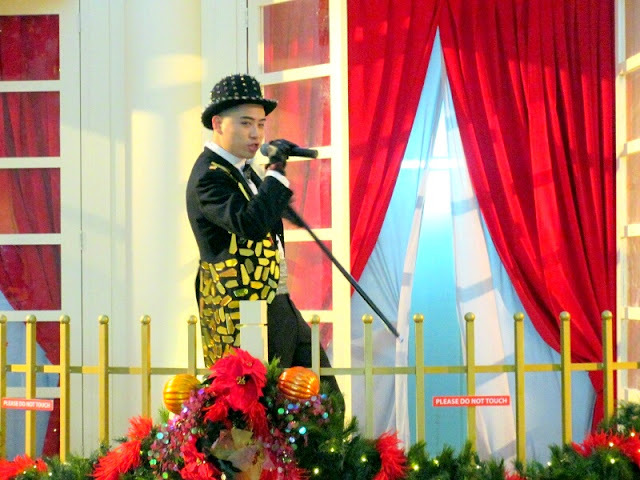 Yours truly was at the eCurve recently to witness a group of senior citizens from Lovely Nursing Centre, Petaling Jaya enjoy an afternoon of festive cheer, musical thrills and an all-round good time by the management of eCurve. The 20 senior citizens along with their guardians from the home were made the guests of honour for the evening, as they were taken back in time to a setting reminiscent of the roaring twenties. 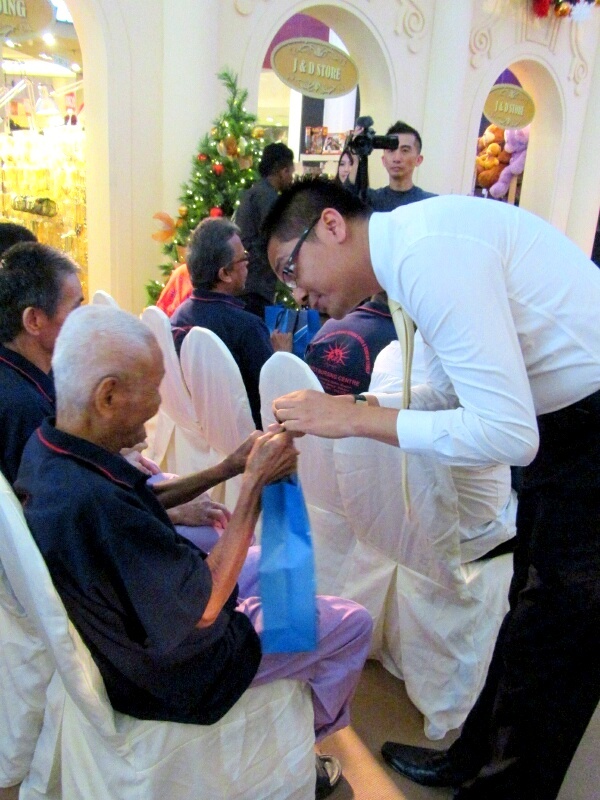 Immersed in the nostalgic backdrop of a courtyard within a grand mansion setting at eCurve’s Centre Atrium, the folks from Lovely Nursing Centre were able to experience the Christmas festivities through a whole different era. 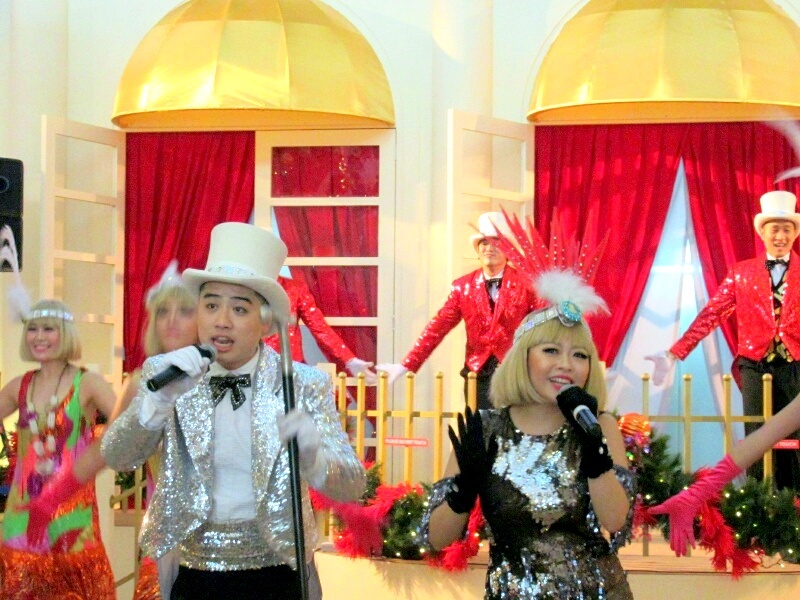 In line with their theme, eCurve’s Whatta Ritzy Christmas musical brought the senior citizens back to their younger years, as they swayed to jazzy upbeat tunes and classic favourites. 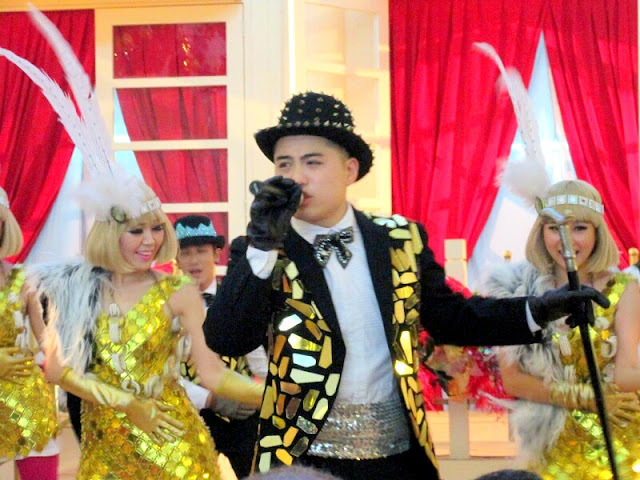 With dancers dressed in flapper dresses and stylish suits jumping and jiving to a constant driving beat of swing and jazz, the performance was truly the highlight of the occasion, bringing smiles to the guests faces throughout the show. Azizul Hisham Ahmad, Centre Manager of eCurve, said, “It was a pleasure to spend time with the senior citizens from Lovely Nursing Centre and we are glad to have had the opportunity to share such an enjoyable experience with them today." Each year hundreds of thousands of seniors all over the world are neglected by close family members and caretakers, and conveniently forgotten by society. Physical neglect means not providing an elder with adequate and necessary medication or physical therapy, and not taking care of an elder's personal hygiene needs, or forcing an elder to live in unsanitary or potentially harmful conditions. Psychological neglect means leaving an older person alone for long periods of time and failing to provide any social contact, activities, or information. A group pic with senior citizens, management of eCurve and performers.. The evening came to a delicious close with a very yummy dinner at the Manhattan Fish Market. 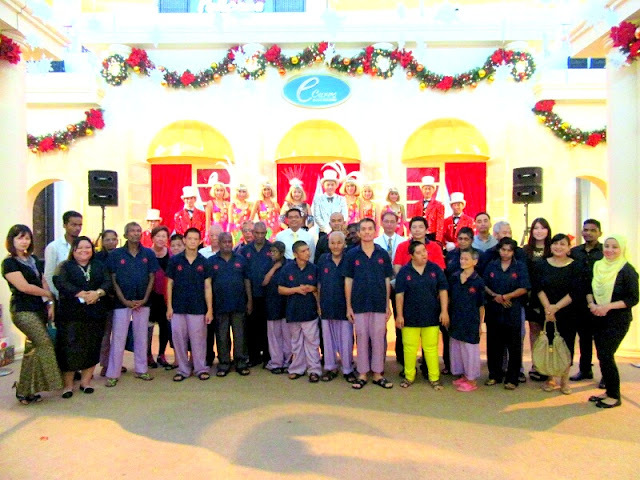 Each of the senior citizen guests got to go home with a Christmas goodie bag courtesy of eCurve and gifts from Exquisite Venture. 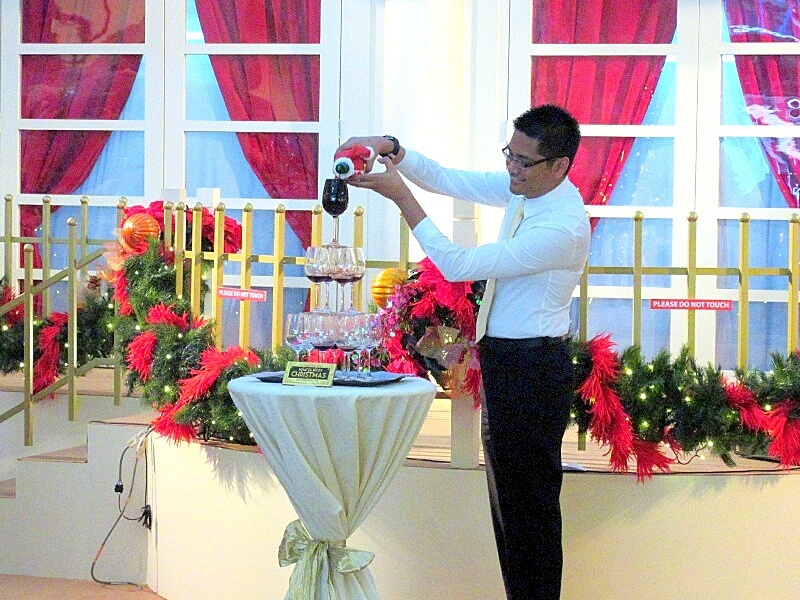 The Christmas celebrations at eCurve are ongoing now up to January 3, 2016 are not to be missed. Throughout the Christmas campaign, shoppers who spend a minimum of RM200 in a maximum of two receipts will be able to redeem an elegant Classic Table Clock, courtesy of eCurve. All redemptions are subject to terms and conditions and while stocks last. happy to see the senior citizen enjoy themselves. The dance performance at eCurve also entertained them. Is great that, see they are so happy. Thanks for give them a joyful Christmas celebration. lovely event!! 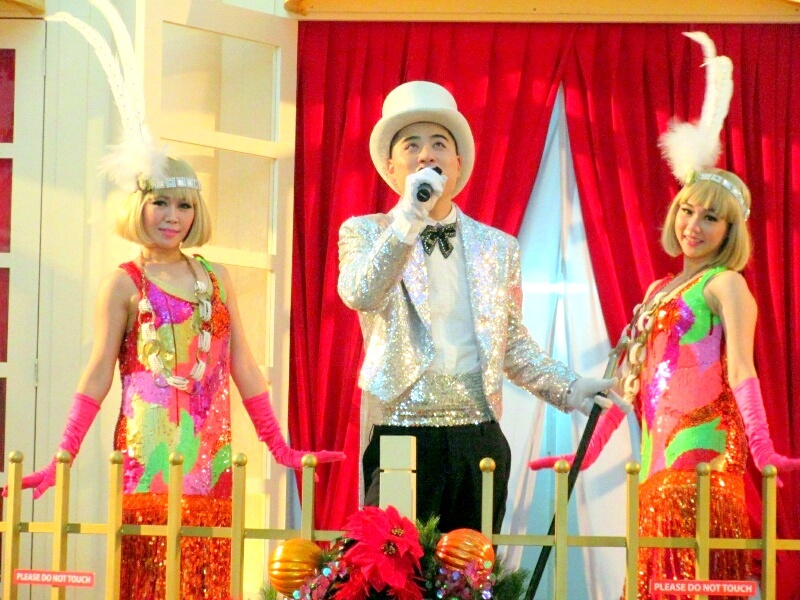 !thanks for giving them a warm christmas celebration! !